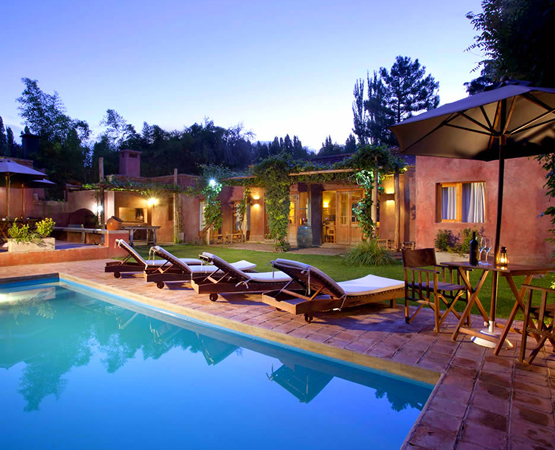 So as to create a privileged place in Mendoza, in Chacras de Coria, Posada Borravino was born as a small country hotel, surrounded by huge trees and vineyards in a particular climate. The inn is placed in one of the most antique streets of the town, together with aged poplat trees and the sound of water running through streets ditches. It is a big house, away from noise and with the smell of countryside, aimed at those people that are looking for quietness and to be in direct contact with nature. It is decorated and has all the comfort and warmth for clients to feel at home. Walks can be done through the shadowy streets of Chacras, ride bikes to get to the beautiful town square, the ancient church or the small bars and cafes. You can get to the principal Bodegas of Mendoza easily from the Borravino inn, to the wine´s roads, to the mountains and downtown, but most of all it and offer the quietness that only Chacras can have. It is a big house, away from noise and with the smell of countryside, aimed at those people that are looking for quitness and to be in direct contact with nature. It is decorated and has all the comfort and warmth for clients to feel at home. 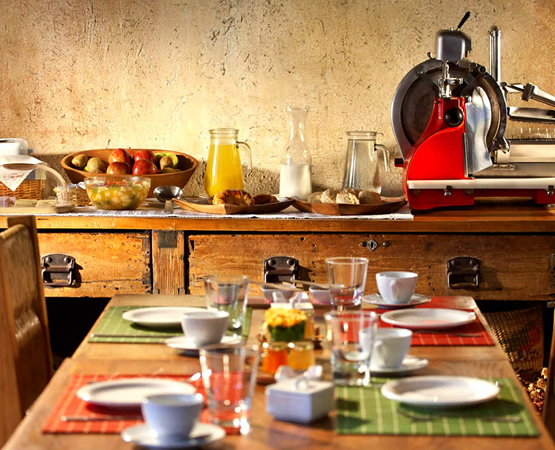 We offer a tasty buffet breakfast in our dining room: tea, Nespresso coffee, "tortitas" from Mendoza, different kinds of bread, "medialunas", cereals, yoghurt, fruit and homemade marmalade from the season´s fruit. Our staff is prepared to be able to give information to guests about guided excursions, visits to "bodegas", tasting of different wines, tours in high mountain, rafting and rides on horseback. We have a swimming pool for you to be able to enjoy in the hot summer days and spring times. We have Internet Wi-Fi in the whole inn that can be used in every room, dinning room and even by the swimming pool at any time of day. • Medical Care 24 hs. 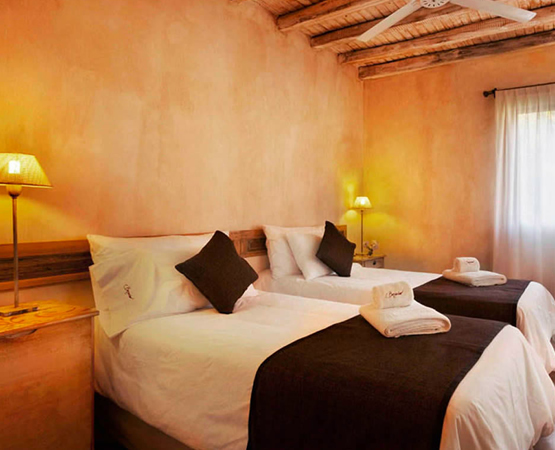 Posada Borravino has 8 rooms, decorated in a rustic very warm style. All of them have different details, paints, and patina on the walls as well as on the floors. Their names are the names of different types of wine. All of them have Wi-Fi Internet, air conditioning, central heating, Cable TV, and DID and DD phone. In the private bathrooms of each bedroom, a kit of amenities is offered and you can also ask for a hairdryer. 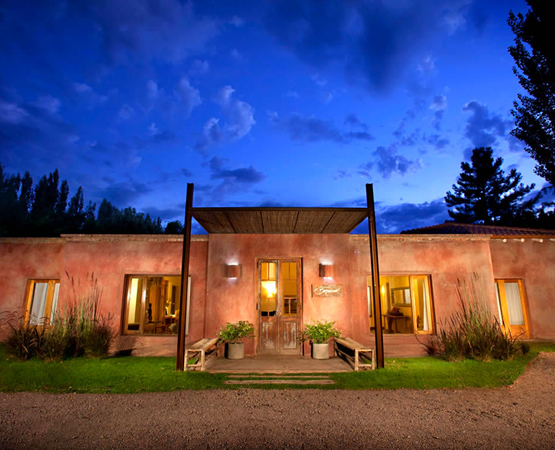 The Posada Borravino is in the quiet village of Chacras de Coria, a starting point to visit the Wine Roads of Mendoza. A few hundred yards from the Inn we find the first wineries to visit, even on foot or by bicycle. 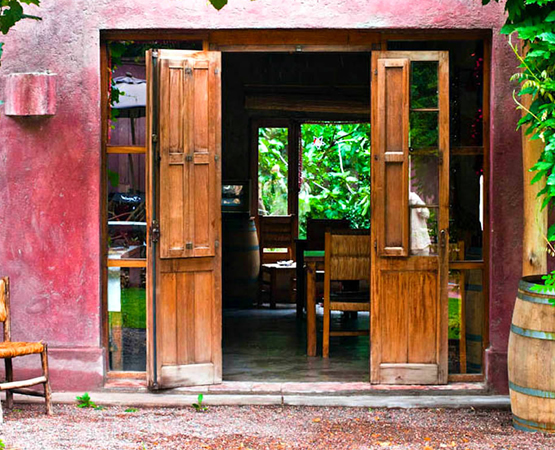 Inside the inn, the guest are able to taste their excellent wine list and the staff can even organize wine tastings of the best wineries in Mendoza (reservations required). 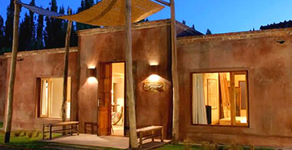 The inn is located in Chacras de Coria, Mendoza. This district is approximately 15 minutes from the city of Mendoza by car and 5 minutes from Palmares Mall. In the department of Lujan de Cuyo, where you can visit many wineries.